This Cattle Egret flew along the coastline where I was photographing the waves crashing into the sun. Once it was past me, soaring away from the setting sun, the soft pinks and blues in the water and its waves made a nice backdrop. This entry was posted on December 22, 2012 by Christopher Martin. 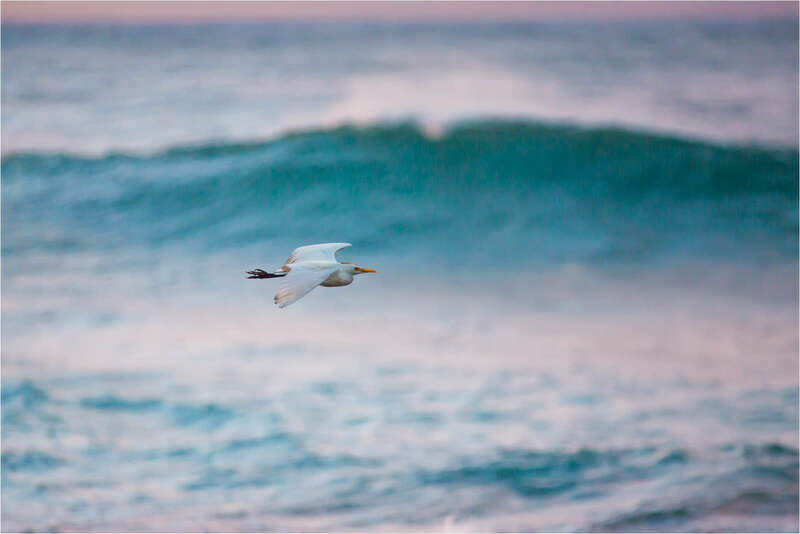 It was filed under Birds, Hawaii and was tagged with BIF, Bubulcus ibis, Cattle egret, flight, flying, Hawaii, Kauai, Pacific Ocean, wildlife photography.